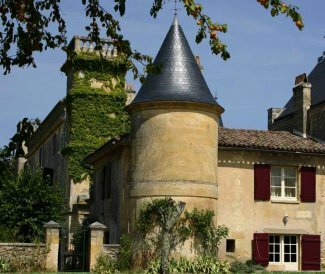 Bakehouse villa stands on a 15 ha grounds, on top of a hill,facing the river valley at Baurech & Tabanac, only 10 miles south of Bordeaux. 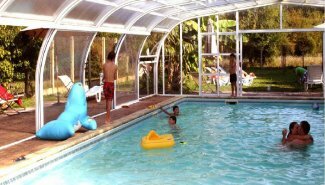 Peaceful retreat, surrounded by vineyard and meadows, large heated pool with shallow end for children with safety fence and gate. 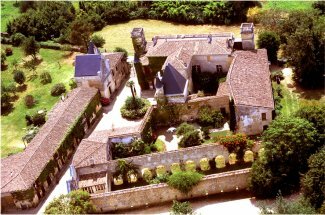 The 8 high standard accomodations of Chateau Sentout, distributed around a central courtyard are perfect for individual families or groups. Each individual garden, in turn formal and natural give each cottage or apartment a space of its own, allowing guests to enjoy their privacy whilst being part of Sentout as a whole. 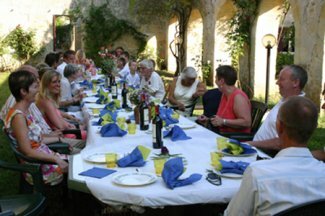 Wifi and airconditioning in all cottages, music in the chapel,wine tasting and chateaux visits on demand. In addition to the Bakehouse cottage for 5, other accomodations are available for 2, 4, or 8. Group bookings up to 40 people on request.